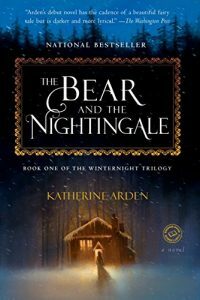 Katherine Arden’s The Bear and the Nightingale is set in old Russia, long before there was a Soviet Union and even before a Russia existed. There was only the Rus people and they lived scattered, outposts of people in an otherwise hostile world. A world in which the creatures of fairy tales are real, though very few people can see them directly. Vasya, the daughter of Pyotr, the leader of one of the furthest settlements, is one such person. She can see these creatures everyone since, in old Rus lore, they literally exist everywhere. Every building has such a creature that tends it — the house, the bathhouse, the stables. Vasya, being one of the very few that can see them and thus interact with them, and unburdened by the harsh interpretation that Christianity imposes about them, becomes their friend and learns from them. They teach her the impossible, such as how to talk with animals, and soon she is riding horses bare-back with a skill that rivals the best warriors of the village. The plot involves some powerful beings from Russian folklore and Vasya’s role in protecting her family from them. Saying more would give it away. However, throughout the story, Vasya is the strongest character, the one that stands up for what is right even if it means being on the wrong end of scorn and, often, punishment. Her strength is juxtaposed with the weaknesses of her step-mother, who can also see the so-called ‘demons.’ In the end, it is Vasya’s willingness to accept the reality around her and her ability to see beyond the social constructs that dictate the lives of everyone else that enable her to be such a strong protagonist. She doesn’t constrain her beliefs and actions on what is right or wrong by social norms, she simply does what she thinks is right. Vasya’s world is filled with the supernatural, a world that even her closest relatives are almost completely ignorant of. They have their superstitions and such, but they don’t directly interact with the supernatural. Arden does a great job of bringing the supernatural to life in this story as well as juxtaposing Vasya’s existence in it, on the one hand deeply immersed in a world of fairies and on the other the mundane world of humans. Vasya lives in both worlds and, through her initial innocence, is able to do so without any contradiction. To her, both are part of the natural world. For her, the world of people, and the people themselves, are often more frightening than the supernatural creatures she encounters. Vasya also lives in a time where women were expected to do one of two things: become a wife and mother or join a convent. “I was born for a cage, after all: convent or house, what else is there?” She sees much more in the real world and longs for a freedom that simply isn’t an option for women of her time. The supernatural world is handled deftly by Arden. While ever-present, it isn’t overwhelming either. That is, it adds to the story rather than distract from it. Arden also develops an interesting view on magic. One character tells Vasya “Nothing changes, Vasya. Things are, or they are not. Magic is forgetting that something ever was other than as you willed it.” Magic is looking beyond the possibilities the world imposes on us, whether expectations of what things or of what people are. Either can become more than what they were originally intended if you can look beyond that original purpose. This is the first of three books that follow the story of Vasya. In this one, we mostly follow her life as a child and her growing into her role in the world, both human and supernatural. It seems like it will be a challenge to retain the innocence that drives a lot of Vasya’s character in this chapter of the story. However, that also means that Vasya is destined for even greater things. We shall see. Myfanwy (pronounced like Tiffany, but with an M) Thomas lived in a world in which some people are born with supernatural abilities. Imagine the X-Men, but with a wider range of powers (some not altogether that useful) and no colorful costumes. Myfanwy’s employers, the Checquy, are a secret society that has been around for centuries and works with the British Government to protect the United Kingdom. Myfanwy was one of their best employees, having risen through the ranks to a position of relative power. However, Myfanwy Thomas no longer exists. Her brain has been wiped clean and a new personality inhabits the body that once belonged to Myfanwy. This is the world of The Rook, by Daniel O’Malley. Without giving too much away, this new Myfanwy — for the new personality adopts the old inhabitant of her body’s life — has to learn both her role in this supernatural world and the reason the old Myfanwy was eliminated. During the course of her journey of both self- and world-discovery, Myfanwy encounters foes that are centuries old, that the Checquy has fought against before. The world of The Rook, while built on a supernatural foundation, still connects to science in a strong way. The powers of the characters work in pseudo-scientific limits. The Checquy’s foes are rooted strongly in the biological sciences. The world O’Malley has created is one in which, yes, the supernatural is a strong element and people do have absurd powers, but they fit in the world, they aren’t out of place. 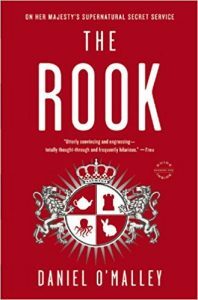 Combined with O’Malley’s strong sense of pacing — The Rook reads like an action movie of sorts — this is an entertaining thrill ride in an oddly parallel world. The Rook is not the deepest reading in the world, but it is an exciting one. Neil Gaiman has become quite a well known author. With the recent movie Coraline, based on the book of the same name by Mr. Gaiman, he is fast becoming a household name. I’ve read a few of his previous efforts, including American Gods and his short story collection Smoke and Mirrors, both of which I greatly enjoyed. 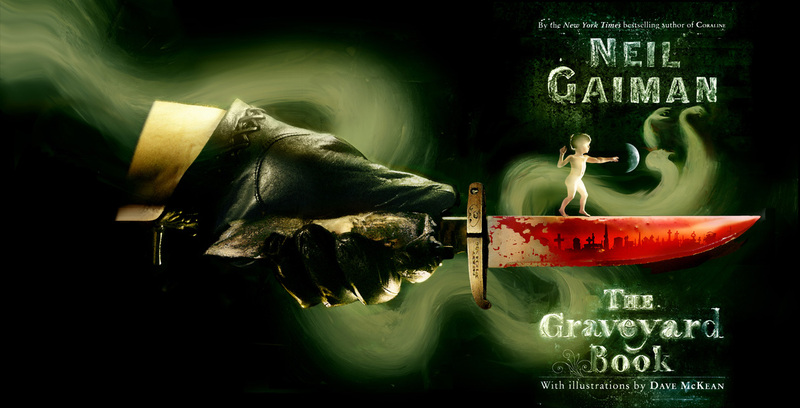 His newest book, a children’s book like Coraline, is The Graveyard Book. The Graveyard Book recently won the The John Newbery Medal for “the most outstanding contribution to children’s literature,” an honor which I think it richly deserved. I don’t want to give away much of the plot, but I’m sure that there might be some spoilers in what follows. I would rather describe my general thoughts about the story. The story centers around the childhood of a young boy, Nobody Owens, as he grows up after a tragedy in his family. I imagine it won’t be much of a spoiler, since the title of the book essentially gives this point away, to say that Bod, as Nobody is nicknamed, grows up in a graveyard. I’ve read that Gaiman was inspired on this point by The Jungle Book, putting a young boy in a very odd environment in which to grow up. The plot revolves around Bod growing up and learning about the graveyard and the world around him, as well as the mystery surrounding the events that led him to the graveyard in the first place. The story is fast paced, with several adventures as Bod discovers new corners of the graveyard. The reader essentially grows up with Bod, learning about both the world in which Bod lives as well as the greater world beyond the physical world in which most people live. We learn that Ghouls, Werewolves, and, while never explicitly stated, Vampires exist in this world. Bod has to learn to navigate both the everyday world as well as this supernatural world in order to survive. There are three main aspects of the story that I particularly enjoyed. First, there is a diverse cast of characters and, while we don’t get to know most of them very well, they all add a lot of color to the universe of The Graveyard Book. Second, the plot is definitely suspenseful, and at the peak I definitely didn’t want to put it down. It is a real page turner. Finally, the book is meant for children. Maybe not the youngest, but maybe preteens or so. As such, I like that it doesn’t offer a world-view that is all roses. That is, bad things happen to Bod and, even when he does the right thing, it doesn’t always work out for him. And the ending is bitter-sweet. I’ll leave it at that. I highly recommend this book. It is full of imagination and I expect that most kids would love the world that Gaiman has created. I am torn in hoping that Gaiman further explores the world of the graveyard, but, at the same time, it is maybe better to leave those corners too to the imagination. There is a website dedicated to the book.